Bruce Jenner, who was born on October 28, 1949 in Mount Kisco, New York, was the Olympic Champion in 1976 and holder of two world records (8524 and 8617 on old score tables, 8429 and 8634 on the newer ones) in the decathlon. Through most of his childhood, his family moved around, but eventually, the Jenners comfortably settled themselves in Sandy Hook, Connecticut. While living there, Bruce competed in either football, basketball, waterskiing or track (the high jump and pole vault) all year round. The marks he earned were no spectacle, (188cm high jump, 430cm pole vault and 55m javelin), but enough to get him noticed by L.D. Weldon, who would draft him to Graceland College for a 20% tuition that included free room and board, in Weldon’s own basement. 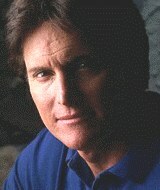 While there, from 1969-1973, Jenner earned a physical education degree, a spot on the 1972 USA Olympic team and a tenth place finish at the 1972 Olympic Games, in München. After that loss, he devoted the next four years of his life to winning the decathlon gold in the 1976 Montreal Olympic Games and only lost one decathlon of the 13 entered in the next 4 years. The one loss was the 1975 US (then AAU) Championships, in which he failed to clear his opening height of 14’ (4.27m) in the pole vault. But, the 12 wins included the Olympic Games (1976-with 8634 points, new tables), two AAU championships (1974-8202) (1976-8459), the Pan-American Games (1975-8024) and many other meets, most of which were international.